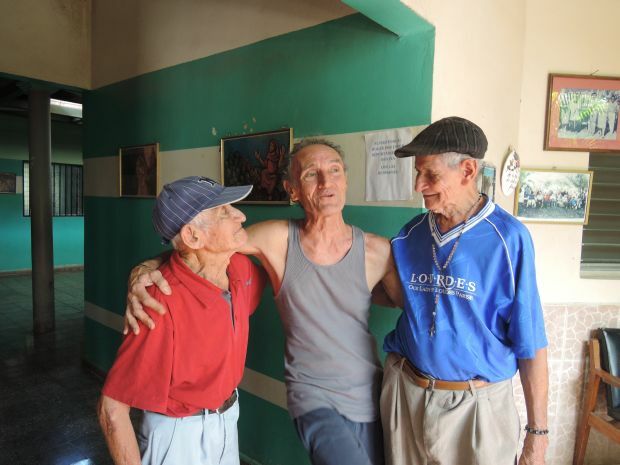 JUTICALPA, Honduras (CNS) — Franciscan Father Alberto Gauci’s field of dreams unfolds in a remote corner of Central America, far from the limelight of the recently concluded World Cup. His soccer stadium sports a full-size pitch, floodlights for night games and covered seating for 20,000 screaming fans. There’s even a parking lot. It is nearing completion, more than five years after the priest first convinced parents, parishioners and local leaders they should construct a stadium in a rugged region marked by emigration, corruption and increasing cocaine shipments touching down as traffickers carry cargo from South America to the United States. 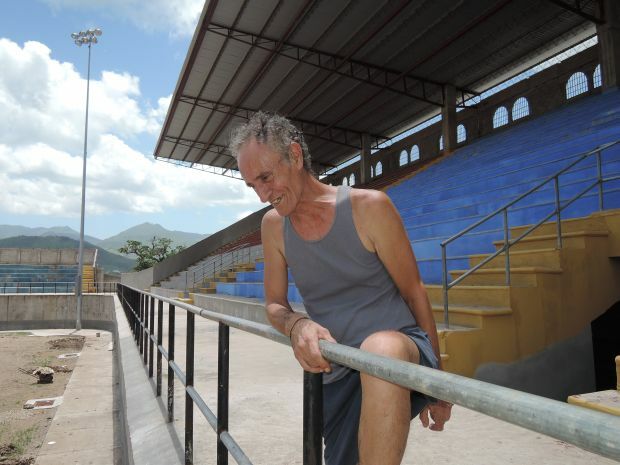 Even more improbably, Father Gauci found $40 million Lempiras (US$1.9 million) to fund the stadium — which still lacks a turf and finishing touches and will eventually host youth leagues and the local second-division soccer squad, Juticalpa F.C. “I told parents: We have to do something about drugs,” he said from the stands of the stadium as workers pushed wheelbarrows across the pitch. “It’s hard to tell a kid to stay off of drugs. You have to give them another option,” he added. Father Gauci is a futbol fan, foreigner and Franciscan living a vow of poverty, embodying Pope Francis’ vision for a poor church serving the poor and creating a culture of charity and generosity in area rife with mistrust, inequality and injustice. The Maltese priest also has a passion for social projects, which include an orphanage, home for the elderly, kindergarten, nutrition center and even a prison — all constructed with contributions largely collected from a population considered impoverished and politicians prone to misappropriating public money. He is understated about his accomplishments, but concerned about crime and corruption in his adopted country and why it careens from crisis to crisis — currently an outflow of thousands of children heading, unaccompanied, to the United States. “After 40 years here, I’ve often thought, ‘This should be one of the richest countries on earth,'” he said at his residence, a single room in the minor seminary he shares with a Rottweiler he received from family after delivering a ransom to rescue their kidnapped relative. He attributes his powers of persuasion to persistence, keeping promises and fidelity to his Franciscan values, along with finishing the projects he starts. He also sees the church in Olancho — an area of 500,000 residents the size of Massachusetts, but with only 20 priests — carrying out social commitments “the government really should be doing” and gaining creditability in the community. “We have a strong social ministry. That’s what we’re known for,” he said. Elderly women are known to drop off donations, despite their modest means. The more projects he completes, the more people and politicians contribute — along with Hondurans abroad, eager to support the small towns they left long ago. Father Gauci was born into fishing family in Malta; he fell in love with St. Francis of Assisi through the novel, “God’s Pauper,” by Greek author Nikos Kazantzakis. Yet he also professes of fondness for rock music: Jethro Tull was an early favorite and he has attended concerts such as the Rolling Stones and Radiohead on trips outside Honduras. “It keeps me sane,” he said of the music, which he has finally figured out how to download on the Internet. Father Gauci left Malta in the early 1970s, moving to Toronto to serve the Maltese immigrant community as a youth pastor; he took them on trips to Yonge Street, known for its nightlife. After only a year in Toronto — where he returns annually to visit family — he was transferred to Honduras, although he did not speak Spanish. He served in Comayagua for a decade before moving to Olancho. “I came here to teach these people. They’ve been teaching (me) more for the past 40 years,” he said. People’s poverty bothered him, though. He saw seniors sleeping and dying in the streets, which prompted one of his first projects: a home for the elderly. He later set up a nutrition center to feed children. Needing to finance his works, he built a bakery to provide an income. Franciscan sisters oversee the operations of the home for the elderly and orphanage, although Father Gauci often visits. 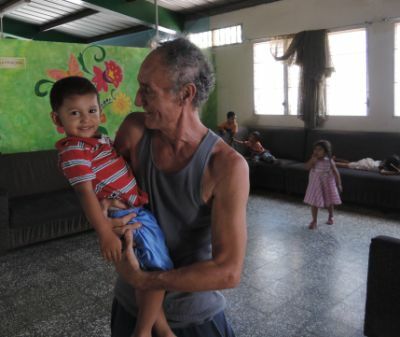 Older residents call him, “Joven,” or “Young man.” Children chide him for smoking — but also take to him like a father figure. Father Gauci also tried to help prisoners, who were stuffed into an overcrowded lockup. He proposed building a proper prison, but found little favor. He even went to evangelical pastors, who quoted Scripture, saying prisoners should pay for crimes. The priest went on the diocesan radio station with his own modified citation of Scripture. “I was in prison and you did something for me,” he said. The prison got built. Father Gauci said he sees hope in Honduras. When he arrived in Olancho in 1983, most of the priests in the Diocese of Juticalpa were foreigners. Now the number is reversed with local priests — some of whom he baptized — becoming the majority. He said he sees something similar with young politicians, who were influenced by Catholic youth groups. The mayor of Juticalpa, a product of Catholic youth groups, has already asked Father Gauci to begin a home-building program. Father Gauci said he is eager to but will wait until his stadium is finished. “It’s common in Latin America to see so many things (get started) and never finished,” he said.